James Naigus is one of the most inspirational composers for horn in many years. His compositions are fresh, exciting and reveal his passion for music. James' abundant creativity is most welcome to the musical world. Horn playing tradition has been blessed with a long line of players who have also been fine composers. In days of old, there was Dauprat, Gallay, Kling, and Franz Strauss, to name a few. In modern times, the big names include Vitaly Buyanovsky, Douglas Hill, Kerry Turner, Randall Faust, Lowell Shaw, Paul Basler, and others. A new star is here to join this constellation: James Naigus. Play any of his compositions for horn and you know immediately that a fresh new voice in horn writing is here: it's both challenging and fun to play and it sounds great. Play any of his works and you will have but one thought: "More, more!" I find the music of James Naigus to be some of the most eclectic repertoire in existence for the horn. His pieces are technically and musically challenging, yet accessible to performers of many ability levels. Naigus' harmonies are rich, sonorous, and refreshingly unpredictable. His melodies possess the ability to affect numerous human emotions - both for the performer and listener. James began sending horn ensemble music to us in Lugano. Reading through his first quintet Three For Five, we immediately knew that this was a young man with something big to offer. His music offers a fresh and creative approach to horn ensemble repertoire. Many compositions later, we have gotten to know and respect James and his abilities even more. 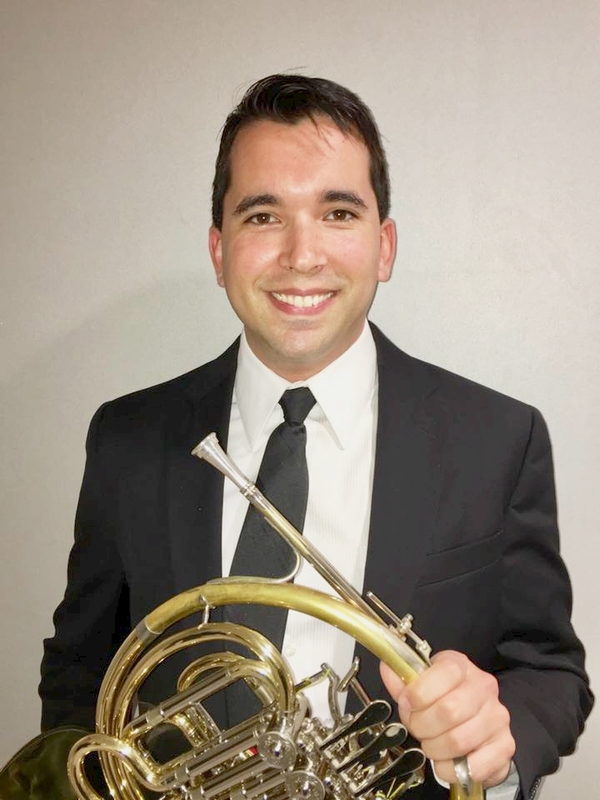 Almost every year he comes up with something new and exciting for both the horn class in Lugano and our summer workshops in Daytona Beach, providing wonderful music opportunities to all involved. James is truly a talent to be reckoned with.